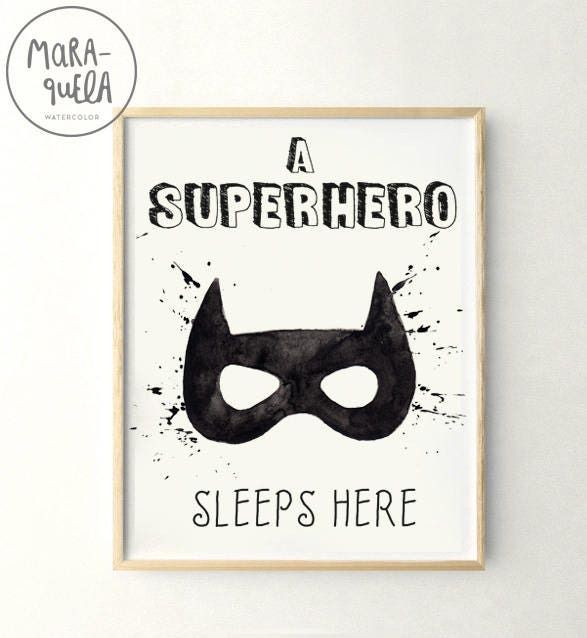 A SUPERHERO sleeps here. 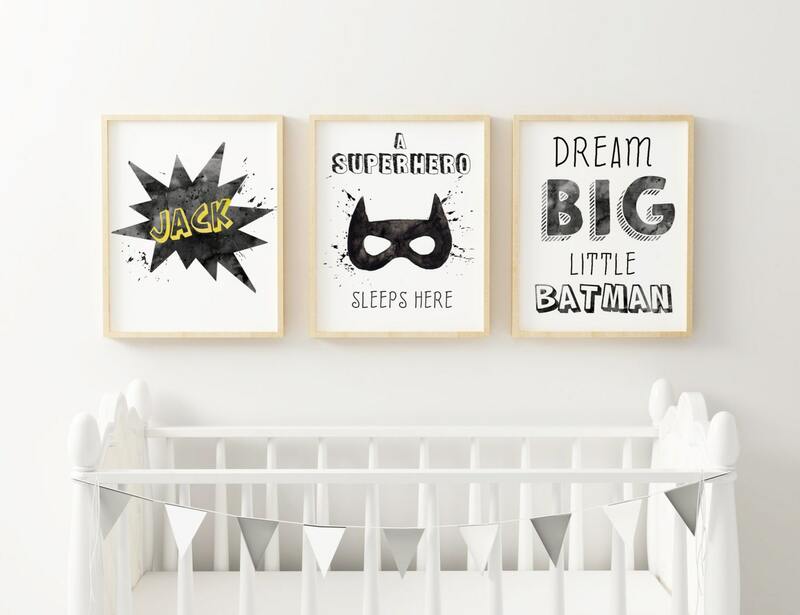 Batman illustration for kids and babies. 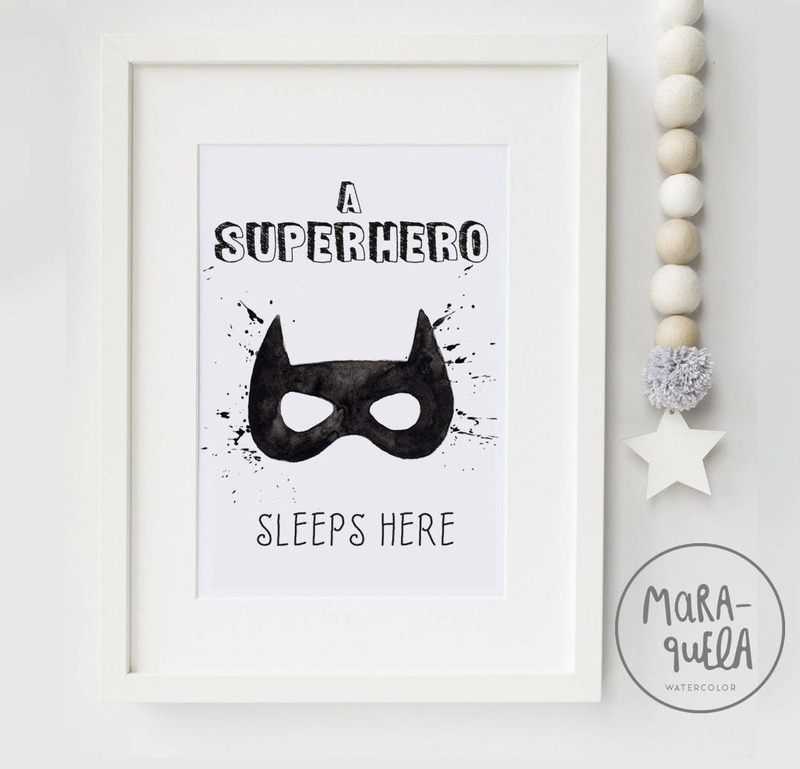 • Lamina Superhéroe inspirada en los comics de Batman con mensaje "A superhero sleeps here" (Un superhéroe duerme aquí). 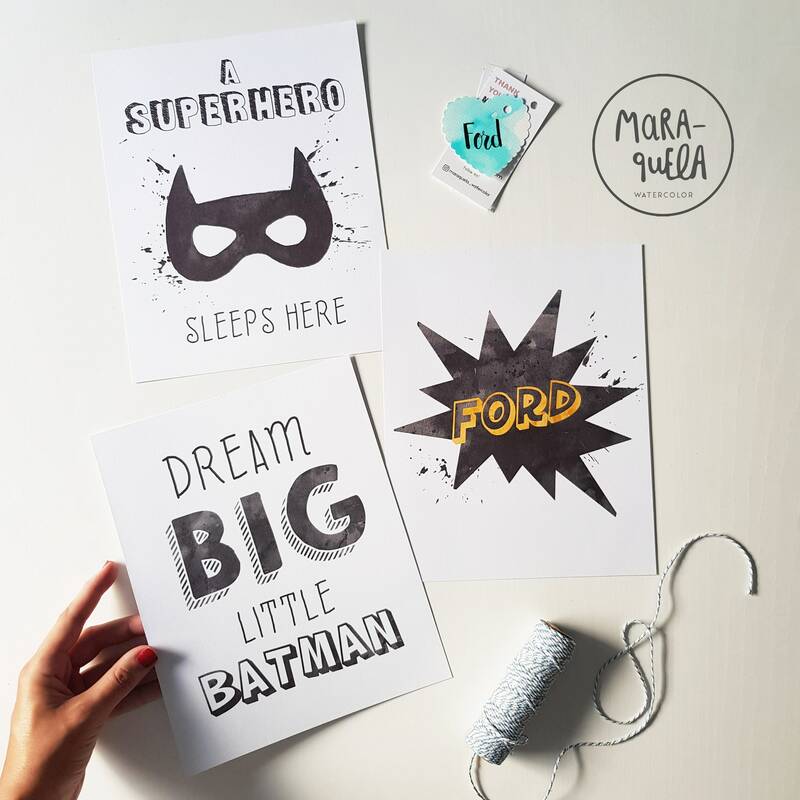 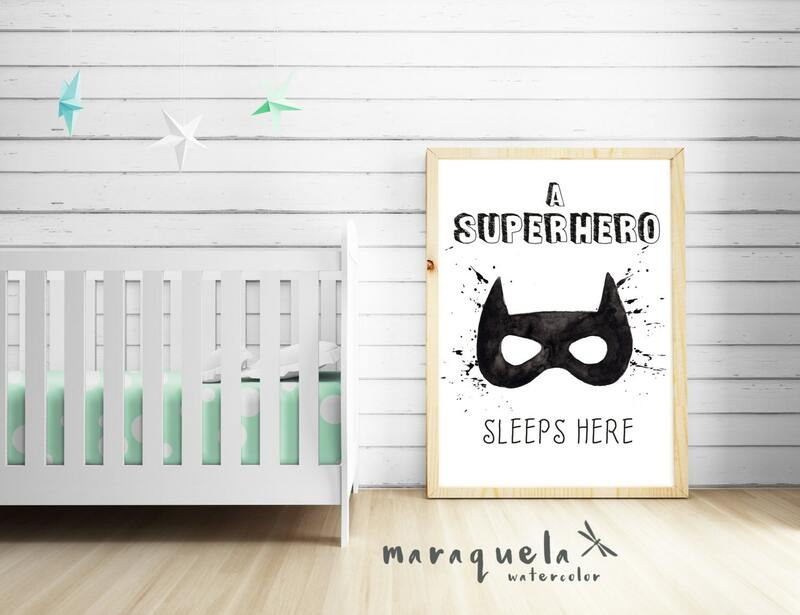 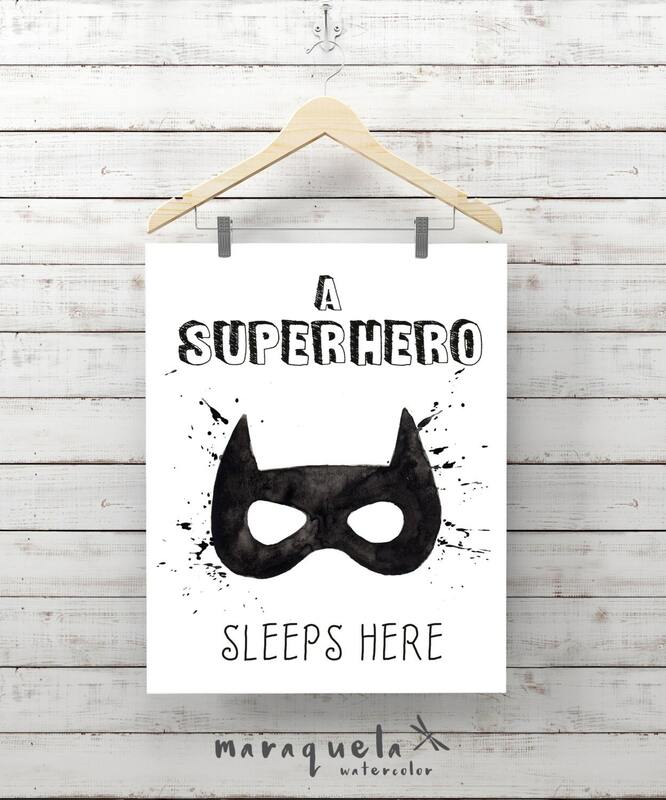 • Superhero print in watercolor inspired by Batman Comics, with message "A superhero sleeps here"